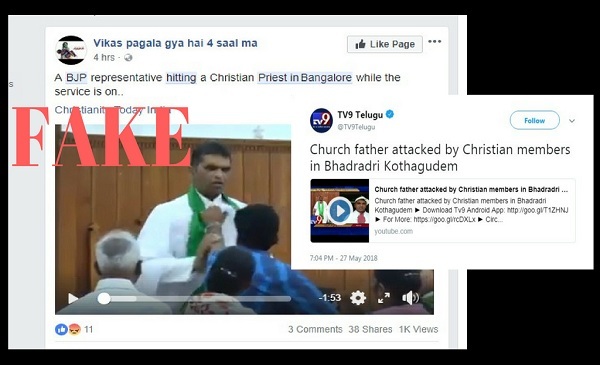 A video of a church member assaulting a pastor in Telangana is recycled and given a communal spin. CLAIM: A Christian priest was assaulted by a member of the BJP at a church in Bangalore. FACT: The pastor was assaulted by a member of the church who had been expelled. A video from Telangana where a priest is seen being beaten up has gone viral on social media with messages that claim the priest was attacked by a member of the Bharatiya Janata Party (BJP). 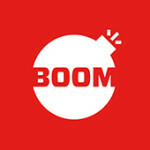 However, BOOM has been able to verify that the video is in fact from an incident that happened in Telangana on May 27, 2018 where a church member beat up the pastor over an internal issue. The video shows a Christian priest being a beaten by a man standing in the congregation line. The man confronts the priest, then grabs his mic and starts assaulting him. The service is thrown into disarray as members of the church rush to intervene and stop the attack. The video has been shared over WhatsApp, Facebook and Twitter over the past 48 hours. BOOM also spoke to a member of the CSI Dornakal Diocese under whose jurisdiction the said church is under. Reverend R Israel Reddy, Ministerial Secretary said that Pastor Anand Rao of the Christ Church in Bhadrachalam town was beaten by a member of the community on May 27. “The man who assaulted Pastor Rao is Shantakumar Kolapudi who was till last year the secretary of the church committee. We expelled him from the committee last year due to some problems he created. On Sunday (the day of the incident) after Pastor Rao delivered the morning sermon, Kolapudi approached the pastor and asked him about the expulsion and asked when will he be reinstated. When the pastor did not give a satisfactory answer, Kolapudi hit him with a microphone,” explained Reddy. He added that Kolapudi is a regular church goer and no extremists groups or political party members attacked the pastor. 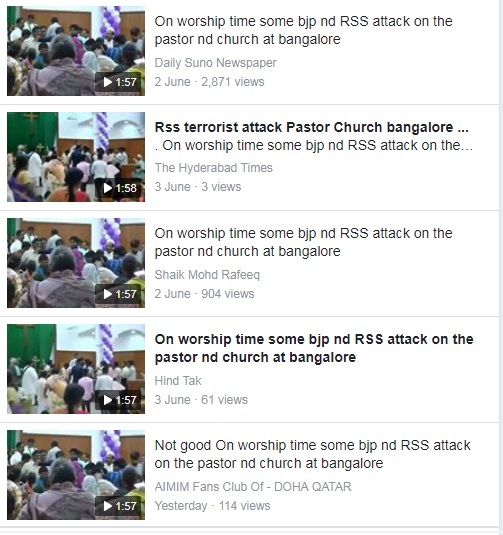 The same video is now being shared on Facebook with a false message that members of the RSS attacked the pastor.